Hi, folks! 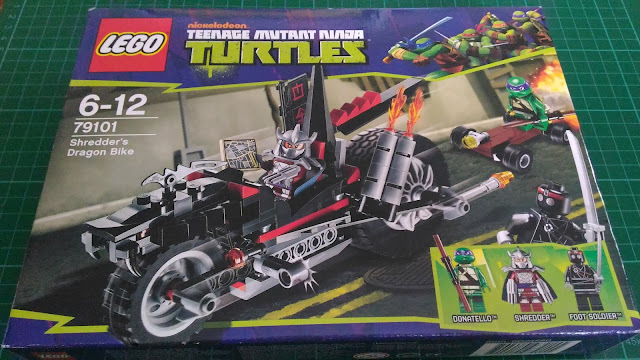 Today I'll be doing a review of one of the few Teenage Mutant Ninja Turtles sets that I have, Set # 79101, which is listed as Shredder's Dragon Bike. I got this set on sale at PHP1,800.00 (roughly USD38.00) from Glorietta's Rustan's department store. Good thing I had gift coupons, which means I only shelled out less moolah for the kit. I really find this set a bit weird because of it's main piece: Shredder's Dragon Bike. If you know your TMNT, you're aware that the Shredder is a serious and uptight guy. 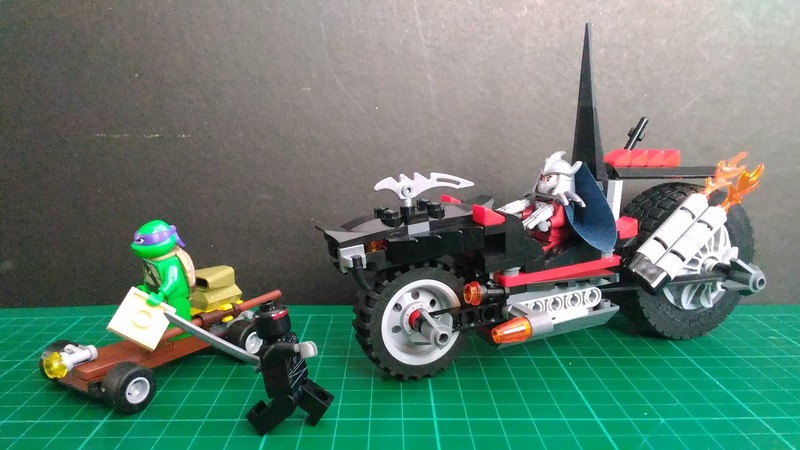 It's really hard for me to imagine the leader of the Foot Clan riding a big bike. 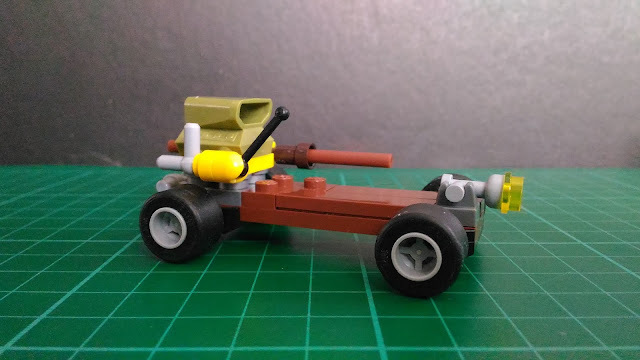 In my opinion, it just doesn't fit. But that's just me. Anyway, on with the show! 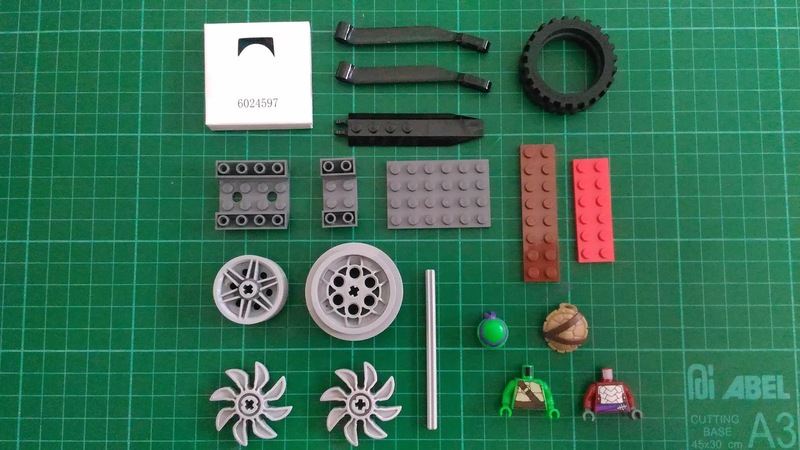 Take a look at the contents of the kit. 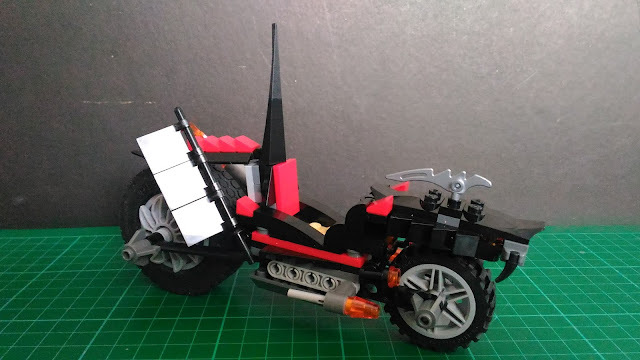 It comes with your typical instruction manual, three (3) bags of mixed bricks and figs, a sticker sheet and a humongous rubber tire for the Shredhead's bike. Let's check out the contents of all the bags first. 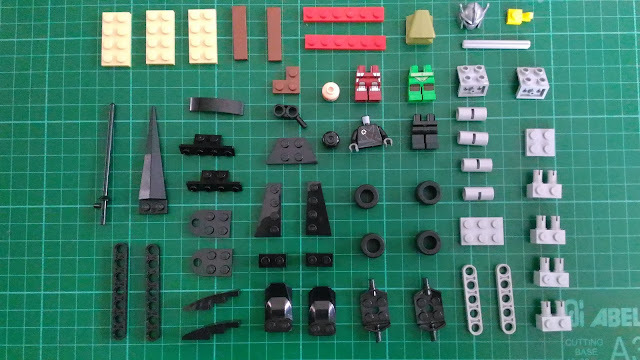 One thing I noticed is the bags are not numbered and the bricks are not grouped according to how you build the set. 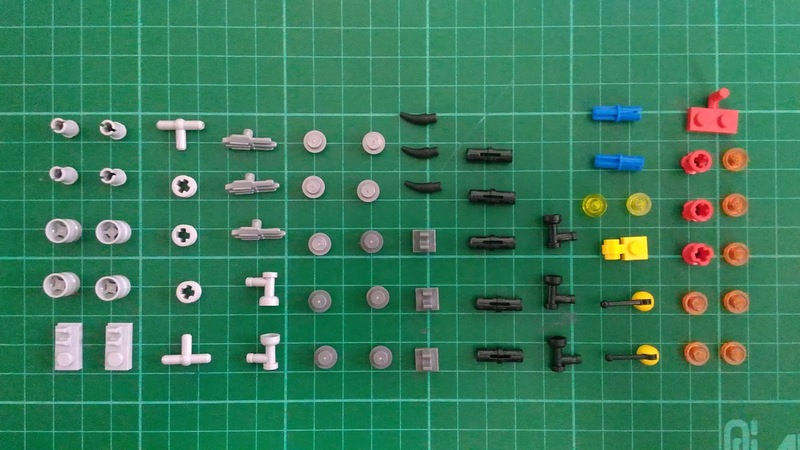 This means you have to open all the bags when you start building. 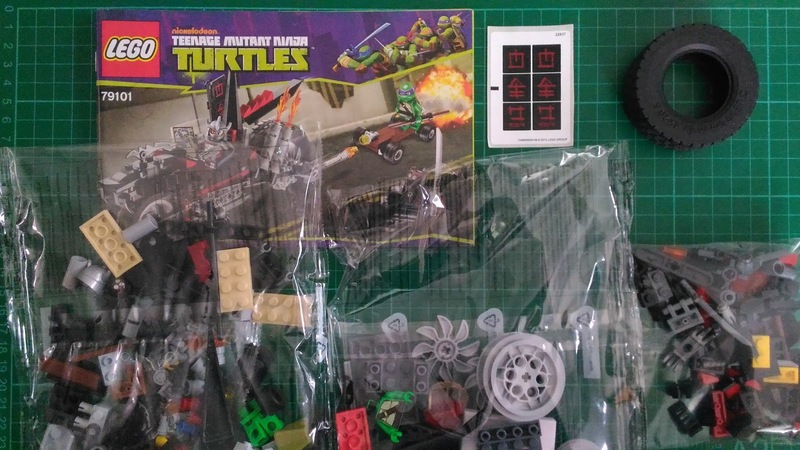 The set comes with three (3) minifigs: Shredder, Donatello and a random Foot soldier. Let's take a look at 'ol Shredhead first. Man, this fig looks great! 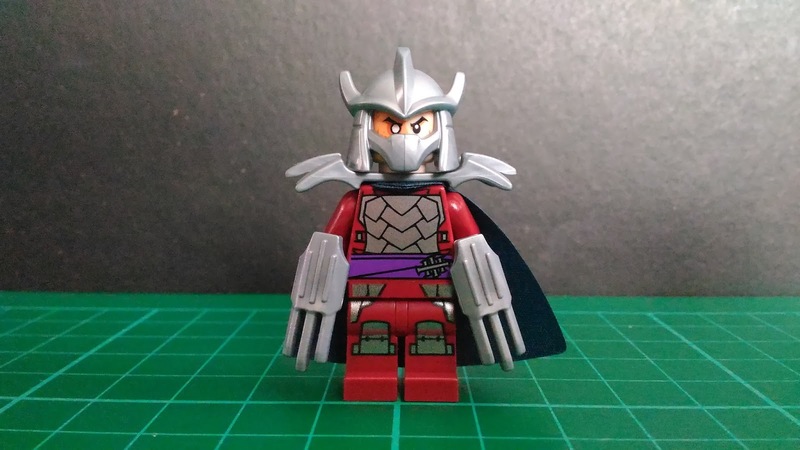 The helmet, the shoulder armor, the cape and the claws combined make this Shredder fig perfect. Almost perfect. I have a small gripe with the fig. When you take the cape off and turn the fig around, you're left with a blank torso. 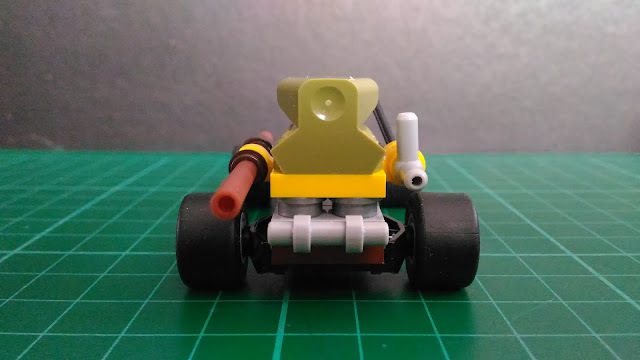 I just wish Lego bothered to print some detail on the torso's back side. They did it for the Turtles and the Foot soldiers anyway as you would see later. Oh well. It's really not a deal breaker. Despite that small missing detail, I still think this Shredder fig is one of the best Lego ever came up with. 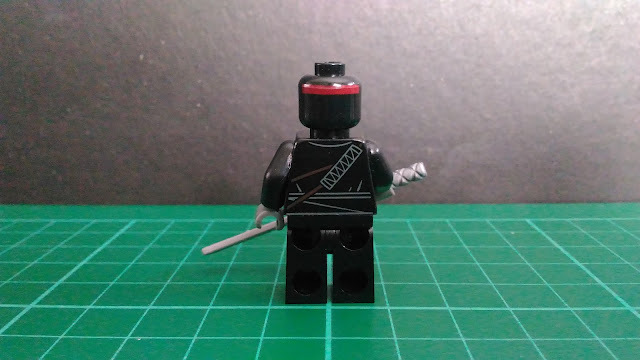 Let's look at the other villain in this set, the Foot Soldier. I really like how this fig looks. 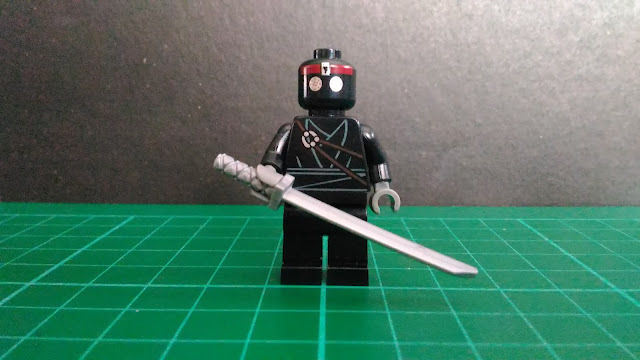 The simple details on the head and torso goes well with the figs black color. 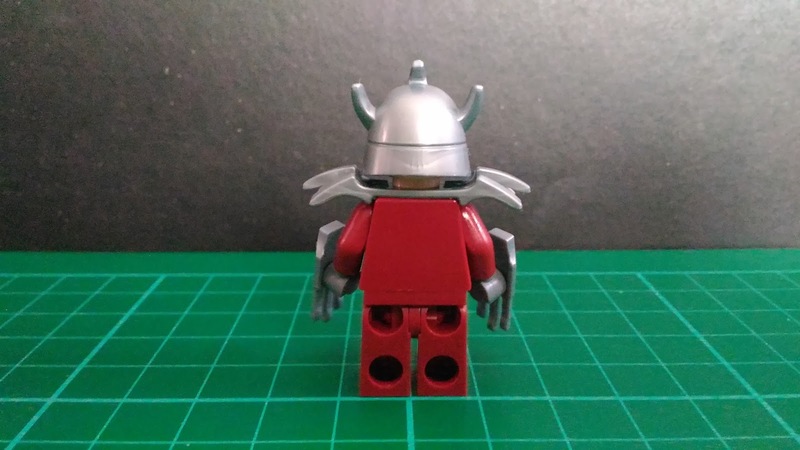 Although the fig's design is pretty simple, it still makes me want to consider building an army of Foot Soldiers. Too bad the Lego TMNT line has already been discontinued. Finally, let's have a look at Donnie, the Turtles' think tank. 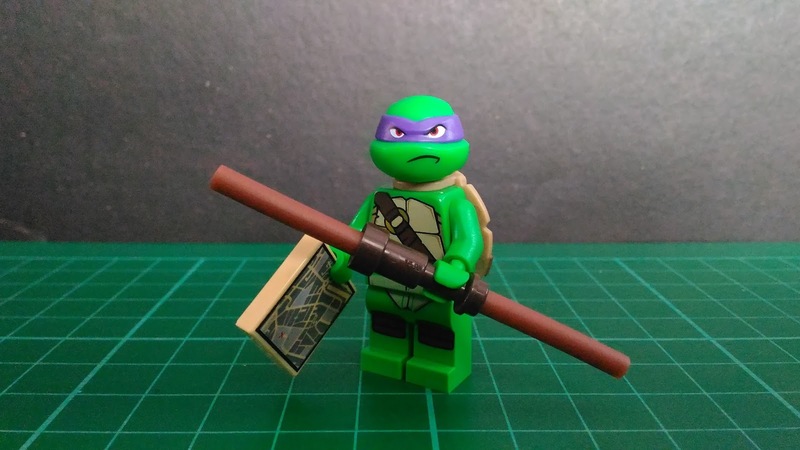 The smartest Turtle with the purple mask is equipped with his bo staff and is ready to battle Shredder and the Foot. 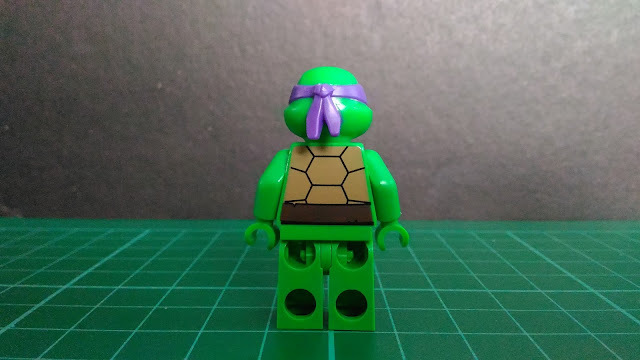 I really like how Lego made use of a new mold for the Turtles' heads. I also think that their shells are cool. The only problem I have with this fig is its main accessory, the bo staff. The two rods that make up the staff are actually hollow. 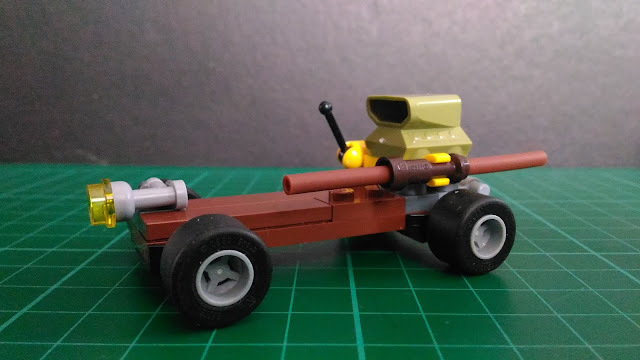 I think it would have been better if Lego used a solid rod similar to that of the Satyr's flute from the Lego Minifigures Series 15 or the earlier wands used for the Harry Potter line. 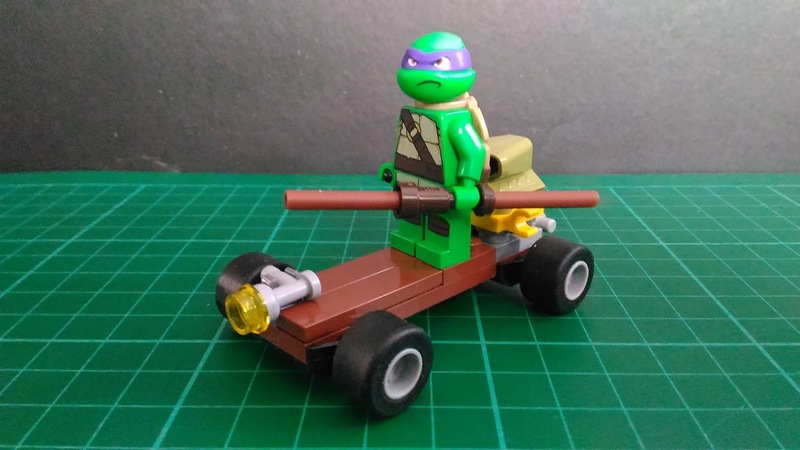 Before we proceed to the set's main vehicle, let's first have a look at Donnie's motorized skateboard. This thing is really cool! It reminds me of an old TMNT toy I had called the Cheapskate. Google it! 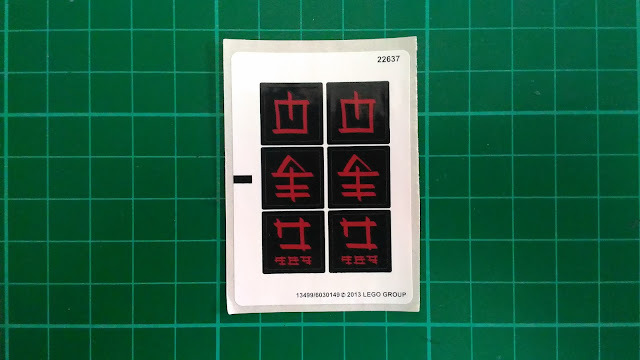 It even has the same control mechanism the toy from the old line had. This board is really well designed given only a small number of pieces were used in its construction. 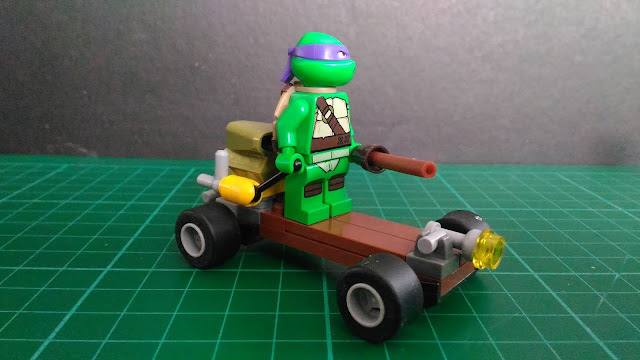 Donnie really looks cool when riding this small contraption! 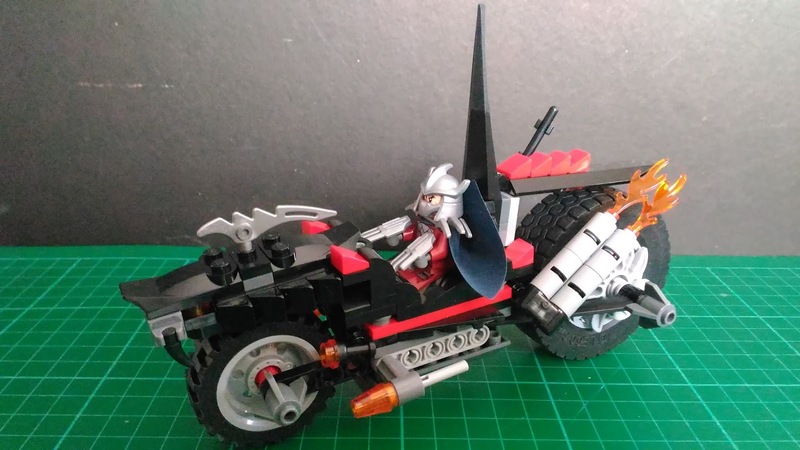 The Shredder's Dragon Bike is a beast! Though I still feel that it seems out of place in the TMNT universe, I do like how it was designed. 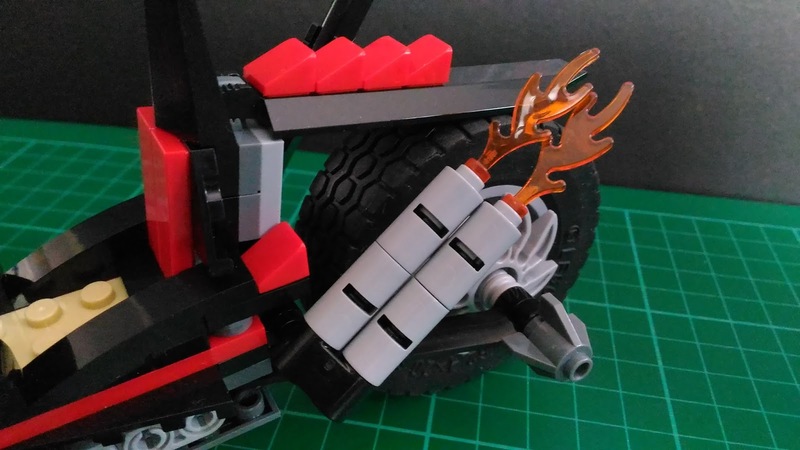 The high back rest of the rider's seat gives you the impression that Lego wanted the bike to reflect the Shredder's pride and imposing personality. However, I still think that this piece would fit more in the Ninjago line given its size and look. 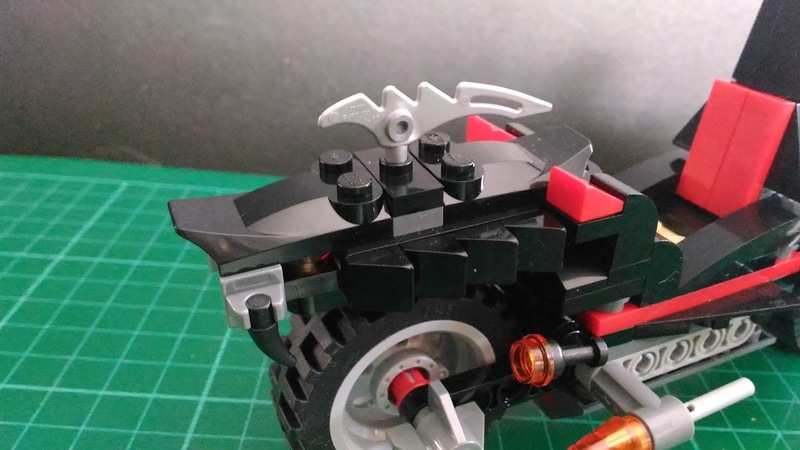 Here are closer shots of the cool details on the bike. And here's Shredder sitting on his mobile throne. 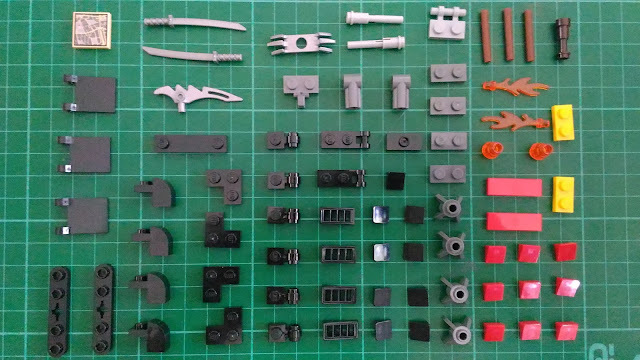 Overall, set # 79101 is a pretty decent set. It comes with three cool figures and two well-designed vehicles. My particular favorite in this set is Donnie's skateboard. 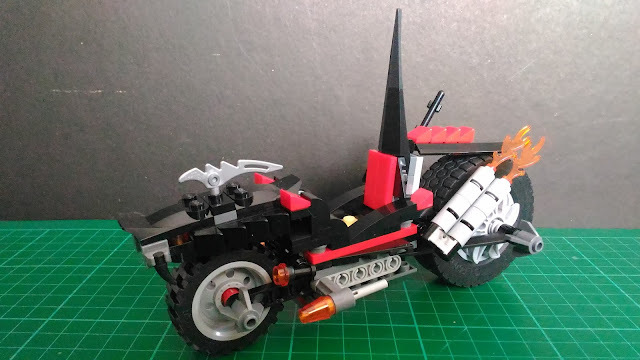 I might be chopping the Dragon Bike soon though. hehe Anyway, with this set, my Turtles' lineup is finallly complete! Will be posting about that soon. Thanks for reading, folks! 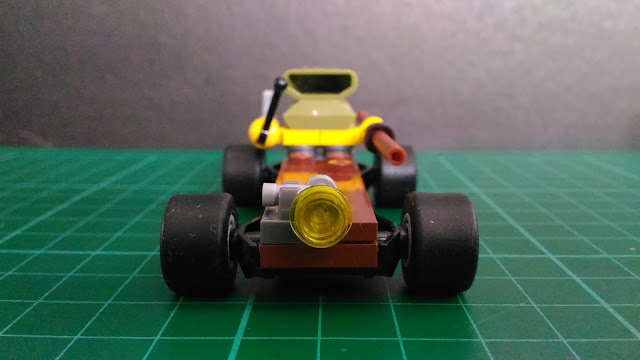 I hope you enjoyed this entry. Stay tuned for more set reviews from Nothing But Brick. There will also be new features on the blog soon so stay tuned for that. Happy weekend, everyone! PhLUG's Force Legion In Action! Nothing But Brick's First Giveaway Winner!